Why You Need This: It has been all too common that the oil drain plug on the Honda CB350 (CL350 & SL350) or CB450 (CL450 & CB500T) models have been damaged and mangled up over the years. They tend to be difficult to remove and often get destroyed in the process. 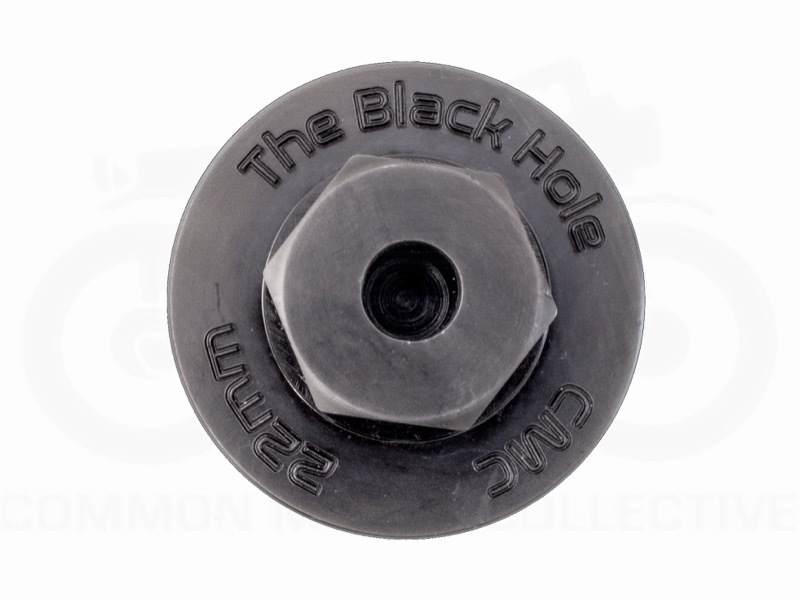 We decided it was time to make a high quality replacement: "The Black Hole." 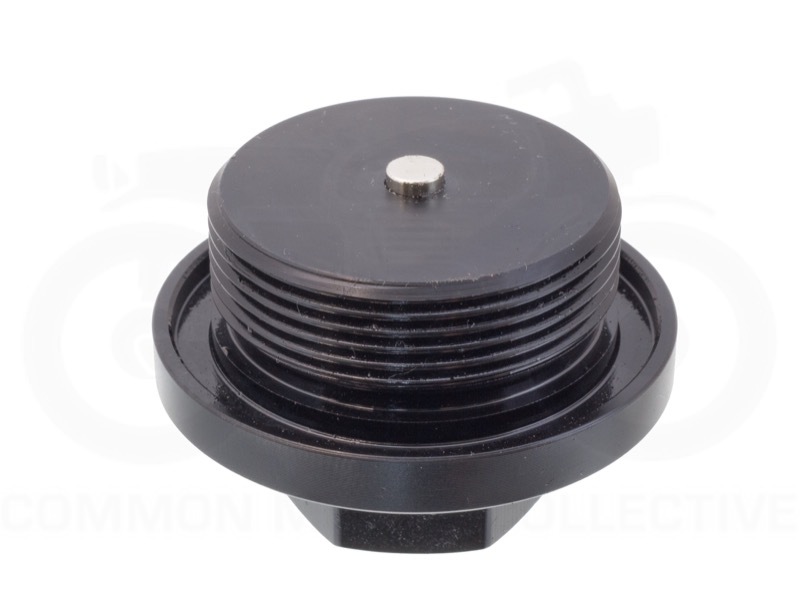 This is an original Common Motor Collective designed part; we have addressed and resolved all the issues with original Honda CB350 or CB450 oil drain plug and made some improvements along the way. Yes it still retains the clever O-ring seal on the bottom (included), but the list of improvements makes this a true high performance quality part that will outlast the bike. If you are doing an oil change we offer a special oil change gasket kit for Honda CB350 and Honda CB450 to make the job easy and painless. 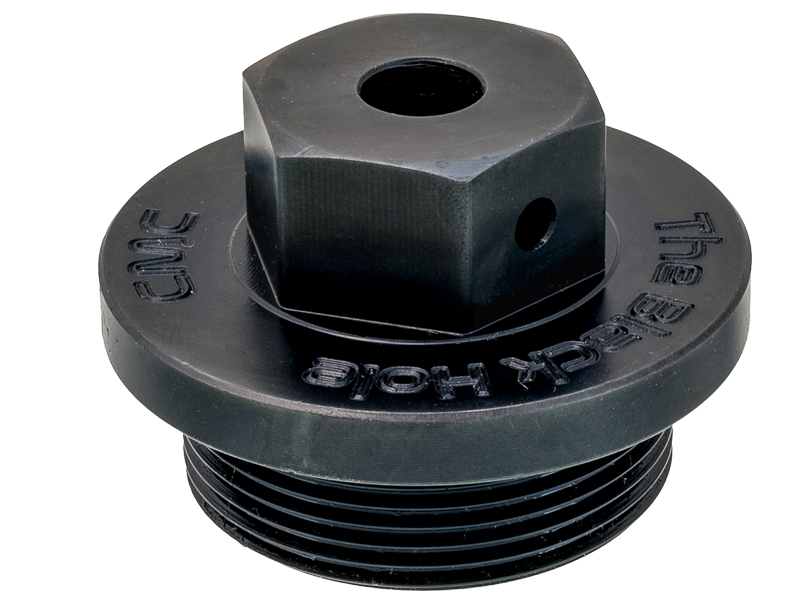 Installation Tip: Ensure the rubber o-ring sits well and level on the inside of the plug and do not over tighten. You should be changing the oil in your bike every 1,500 miles and clean out the oil filter every other oil change. I had trouble biting the bullet on this one, but those CB drain-plugs just don't hold up. 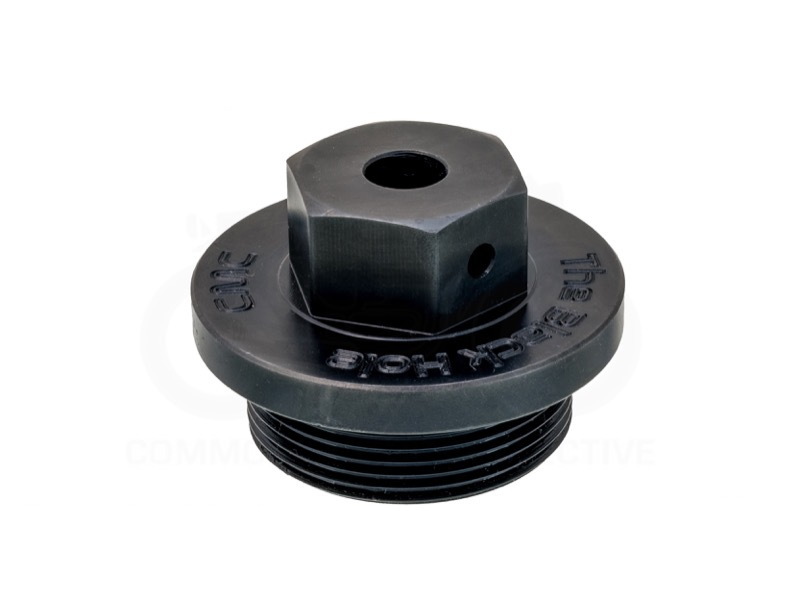 After the 2nd oil change very nearly left me with a completely rounded off head, I ordered one of these. It feels weighty and well-machined, snug and tight, no leaks. It has caught a surprising amount of silly-putty like metal sludge and I'm stoked with the purchase. Thanks guys! This thing is one hefty sonofagun. There's no comparison between this and the original Honda plug. It got to the point where I needed a pipe wrench to unscrew the old plug. Not with this one. Fits perfectly. Threads easily on and off. Everything CMC promises. Recommended. Five stars! After hours mangling my original drain plug trying to get it off, I ordered this monstrosity. Much more substantial than the original. I haven't needed to change my oil since I put this one on, but I feel it'll be a lot more cooperative than the original. When I order from common-motor I KNOW that the part will work and work correctly. When the price dropped on the Black Hole to less than some REALLY beat up ones on EBay it was a no brainer. It is well made & I know it will last through many incarnations on this CL350. also Thanks for the great how to videos. They have been a life saver.